When a company has been in business for over 50 years, you know they're doing something right. 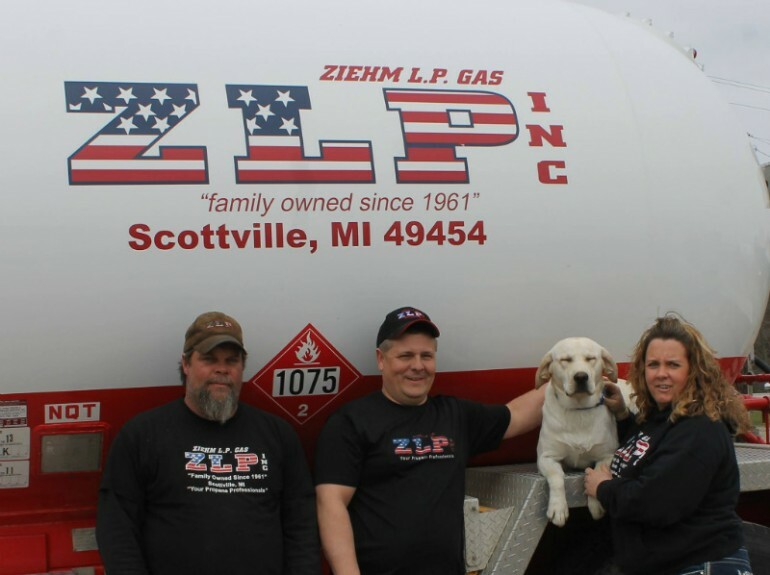 Ziehm L.P. Gas has been serving the homes and businesses of Mason and Oceana counties and surrounding areas with quality and reliability. They keep your house warm and your grills hot with propane, always delivered in a friendly and timely fashion. They make your home cozy with attractive gas fireplaces that add that special ambiance. The certified, knowledgeable and trained staff at Ziehm makes them one of the top companies in this community for customer satisfaction. Fill 2 Portable Tanks for the price of one. Only $40 plus tax while supplies last. With gauge or without and includes fill. *Only valid on Tuesdays from June 1st-August 31st. Equal or lesser value. Any size up to 100#. Just about everyone uses a portable propane cylinder, whether it's for a gas grill, campers with portable cylinders or RVs. Ziehm is the best fill station around. When you stop in, you'll find quick and easy service plus low prices. Ziehm's has an area for RVs to drive in and get tanks topped off. It's best to call ahead so they can be sure to have a truck available. The winter months can be long and cold, but you'll stay toasty warm with propane gas from Ziehm's. 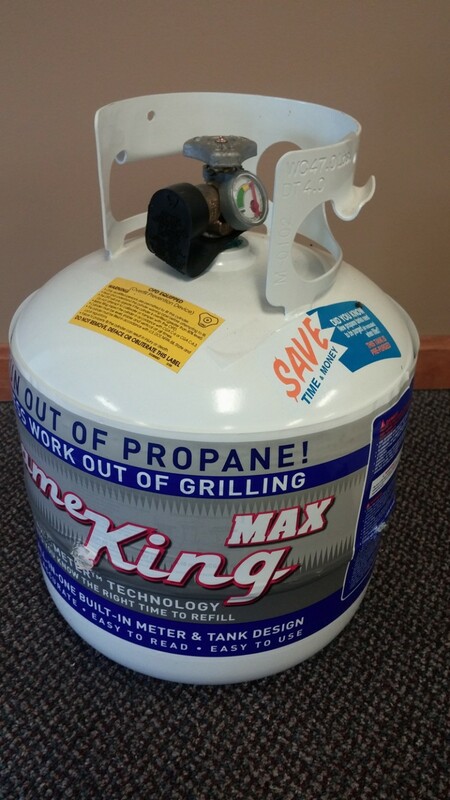 Order your propane when your tank reaches 40-30% to ensure you won't run out. Delivery time could take up to ten business days. The best thing about Ziehm's is that you only pay for the gas you receive. That kind of honesty and integrity is what's kept them in business for over 50 years. Ziehm L.P. Gas invites you to shop their display of Empire brand gas fireplaces. There are many sizes and models to choose from, from inserts to free-standing. Both vent-free and direct vent are available at very affordable prices. Gas fireplaces are clean and maintenance free--no mess to clean up and you have instant fire. They add so much to a room and value to your home. Ziehm's also carries quality Broilmaster grills. These custom built, stainless steel grills are top-of-the-line, with many still in use after 20 years. They're built to last, and far outclass other brands. Best of all, they are made in the USA. Propane gas is clean and affordable. Ziehm's offers budget programs to fit your needs. They'll work with you on a steady-pay per month plan that is easy on your checkbook. Their balance pay program is where you automatically pay with credit card or your bank account...guaranteeing you'll never be late with a payment while always receiving the discount. 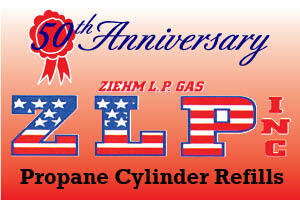 When you need propane for your home, camper, RV, or grill--come see what Ziehm L.P. Gas has to offer. Great customer service is what has kept them in business for over 50 years, and they plan to be around for another 50. Serving Mason and Oceana counties plus surrounding areas.